Hey everyone! I've been asked by many members to stop by the forums. The HyperSpin community is currently the largest consumer of our adapters, accounting for over 20% of the market. From the bottom of my heart, thank you! To help give the best experience and support we can, this will be the official Bliss-Box thread for any and all discussions or questions regarding our products or adapters in general. There are a number of HyperSpinners who are well informed on the inner workings of Bliss-Box who can help but in this thread I'll do my best to respond to all Bliss-Box related questions, so you can hear it straight from the horse's mouth. Bliss-Box is dedicated to providing you with a fun, seamless, cost-effective solution to using the best controllers with your games. To that end, the Bliss-Box 4-play is a universal console-to-USB controller adapter system that empowers you to game with virtually any peripheral ever made. One 4-play lets you play with up to three other people on a single adapter, each person using a controller of their choice. Controllers are hot-swappable while the emulator is running and can cycle certain aspects of button configuration on the fly. They connect to the hub via short, console-to-HDMI cables. The box does the work and outputs to your PC via USB. Firmware updates are painless and we have official and unofficial support for Bliss-Box developments. One subject people often ask me about is that of latency. They want to know if there is a practical or perceptible lag when using the hub. The answer is, no. While every device like this has a scientifically measurable latency associated with it, the delta with Bliss-Box is not sufficient to change the human gameplay experience in any way. For all intents and purposes, it feels just like you're gaming on the real system. Thank you once again for your support and I hope you get as much enjoyment out of Bliss-Box as we do out of making it great. Without further adieu, I'd like to give mention to some of the team that is part of the HS community. ulao: CEO and inventor of everything that is Bliss-Box. atarigalore: Atari lives near me and gets a lot of firsthand experience with what goes into this project. He is very knowledgeable with emulators, computers, and the 4-play. He also runs the 4-play fix tool https://www.facebook.com/4playfix/. Avar: Right-hand man and promotional facilitator. Avar offered to help out after first trying 4-play. His goal is to increase Bliss-Box awareness and introduce it to a broader market. Can vouch for that. Also 4-play actually remembers IDs unlike all the knockoff adapters I've ever had the displeasure of using. That is a goddamn brilliant idea. As always thanks for the many suggestions. Unfortunately do to legalities, the firmware can not be hosted on pages that to not follow the license agreement. However I will do my best to announce any updates. Though please remember one click to the main page and a click on the download section is all that is needed. You can now just click the partner site from the main page to get to the Bliss-Box page for downloads. Anything big I will try to announce here. Maybe I will need to start ebaying for controllers. I've been snapping up controllers everywhere..... I'm addicted to trying different controllers with the 4-Play. 2x nes, 2x super famicom, 4x n64, 1x gamecube, 2x megadrive (3 button), 2x sega saturn, 2x PS1, 1xPS2. These all work perfectly with the 4-Play. I also have a couple pc-engine controllers. In the process of making adapters for the 4-play (after a failed attempt).... Might make a thread about it once its done. 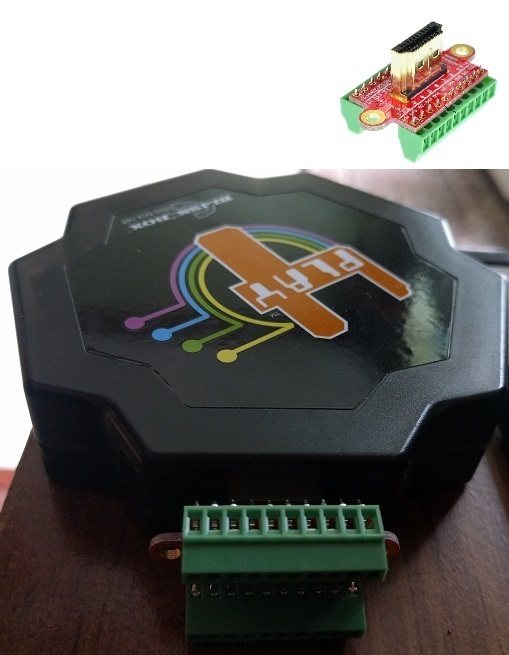 In the process of making adapters for the 4-play (after a failed attempt)..
Did you see the new D.I.Y connectors on the shop page? It makes life easy. You try the bongos yet? Also I have a request: Can someone with a CRT try R.O.B. please? Also can someone with a Power Glove check to see if it works as well? PGs so pricey these days. Not come across this before... Looks ace. I was already talking to ulao about it. DIY kit might work for it. I haven't tried it myself though. No I didn't see this but its a great idea. I don't have any training in electronics just a little bit of soldering here and there (diy hobby). I really struggled soldering the 8pin mini din connectors (like these) as they are tiny and my soldering iron just too big (a cheapy) and my technique probably leaves little to be desired. That is why this is here, so you don't have to solder. It's a screw in connector, like speaker wire in car audio. You could get some large heat shrinkable tubing and a hairdryer to shrink it when you have the right wires connected. This is also perfect for built in cab's. You could extend the HDMI length with 2 cat 5 cables. If you heard the rumors about a Bliss-Box Kickstarter, they're true! It's happening in April and there will be lots to look forward to. We've been sure to include all sorts of reward options for people to get a set of cables that suits their needs and we're adding new cables to the mix to expand our impressive adapter capabilities. On top of that, we're working on a brand new product. While we can't speak to the nature of it as of yet, we really expect it to "light" up your life once it's finished. Expect the official announcement to roll out soon. If we make enough development progress, it might even be included in the Kickstarter. As our way of thanking you all and to celebrate the new Kickstarter, we'll be hosting a fun contest giveaway for a Bliss-Box 4-play. We're really looking forward to everyone's participation and we hope it brings back cherished memories for us all. Look forward to more details closer to the contest date! Please take a moment to thank the AV Archivist! Avar's dedicated a lot of time helping Bliss-Box reach out to the community. He's been a big help with planning as well as with Kickstarter developments and he's even got some great Bliss-Box related videos coming your way, including more awesome tutorials! We also want to give special thanks to HyperSpin and to EmuMovies http://emumovies.com/ for supporting us. Finally, we wish to give special recognition to Sub-Zero for creating our awesome new logo and for his work with Avar. Finally, Thank YOU! Bliss-Box had a great year and we are finally starting to gain momentum. The internet is loaded with nothing but great reviews on our first product. This speaks volumes to us and we couldn't be more pleased that you're all enjoying it so much. We hope to continue to make products that stand out and enhance your gaming experience even further! I tried clicking on sub zeros channel link above but didn't see the logo. I'm sure it's "superb" though as always. Very pumped for this. I'll be giving out a 4-play starter kit to a randomly selected subscriber as well. Really hope the KS is a huge success and the new secret product is a real doozy! Ninja that is just a link to Sub's channel. The logo he made for me is the one you see in my sig.